This paper studies the effect of hospital ownership on treatment rates allowing for spatial correlation among hospitals. Competition among hospitals and knowledge spillovers generate significant externalities which we try to capture using the spatial Durbin model. Using a panel of 2342 hospitals in the 48 continental states observed over the period 2005 to 2008, we find significant spatial correlation of medical service treatment rates among hospitals. The paper also shows mixed results on the effect of hospital ownership on treatment rates that depends upon the market structure where the hospital is located and which varies by treatment type. 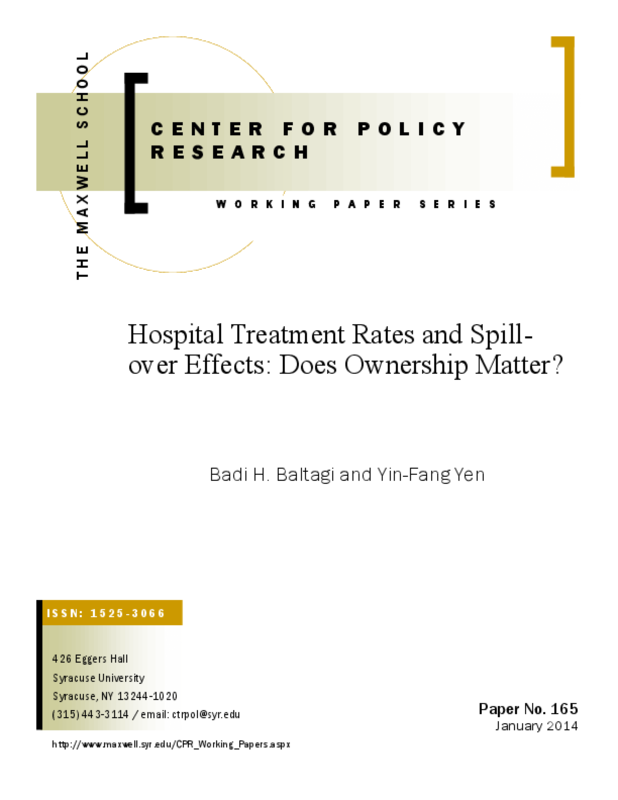 Title: Hospital Treatment Rates and Spill-Over Effects: Does Ownership Matter?